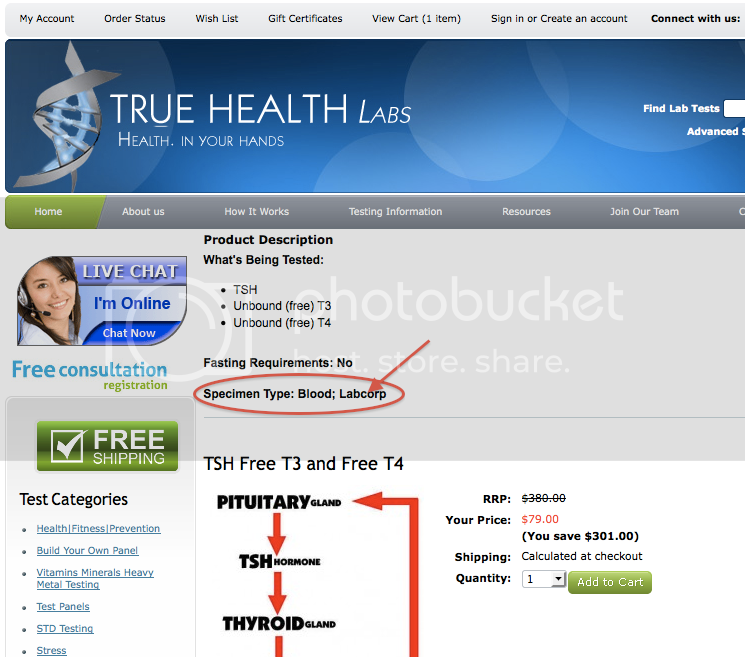 How does ordering lab tests online work? Can I order lab tests in my state or country? What day Should I mail my test kit back? Are tests covered by my insurance? Are there any tax and/or shipping fees? Does Medicare cover my tests? I want to order for someone else. What do I do? How do I know if I am receiving a test kit or not? If the test(s) you are ordering requires a test kit, you will need to mail it back to the lab. The return shipping label and bag is included. It is suggested to mail the kit back on a Monday or Tuesday in order to avoid weekend mailing delays. We do not suggest you mail kits on Friday's. When checking out, the person you are ordering the test for goes in the "shipping information". Your information goes in the billing section. Are there Tax and/or Shipping Fees? Fees to other countries may apply. Contact us to check shipping cost in your country. Every lab test order is tax-free! How do I know if I am receiving a test kit or a requisition form? Labcorp and Quest tests: Emailed requisition form only. Other lab processors (see all lab processors): Test kits are mailed to you. Requisition form will be included with the kit or be emailed to you. Direct access testing allows greater participation in one's own healthcare. Your healthcare provider can refer you to True Health Labs, but it’s not a requirement. You can order any test without your doctor. Select your tests, find your draw location, then checkout. Take the form and/or kit you receive from us to your draw location. Test results are emailed to you once completed. Tests processed by Quest Diagnostics® (see example): After choosing your lab tests, you will receive your requisition form (sent via email). Take the form to a local patient service center for your free draw by a certified phlebotomist. The results will be emailed to you the day we receive them. Depending on the complexity of the test, results can take 1-4 days. Ordering test kits? (see example): After you order your tests online, you will receive your test kit(s) and requisition form(s) via mail 3-5 days after your order. Check the requisition form for errors. If asked, check the box(s) for "bill physician" (no signature is required). Take the test kit with you to local draw center (saliva and stool tests are completed at home). All kits come with free return shipping labels and packaging. Ordering from outside the USA? Can I order tests in my state or country? **Tests processed by Labcorp® can NOT be collected in the state of NY, NJ, MA, MD, CA, RI, or outside the USA. You can complete the test in a nearby state. Update: All lab tests can now be drawn in MD and CA! Look at the test descriptions (example) to see if Labcorp is processing your test. Many of our test kits (see test descriptions under "Specimen Type") CAN be ordered in the above states and countries (New York is restricted for all). You must contact us if you need testing outside the US or UK to determine if testing is available. Where do I have my sample drawn? Is there a draw fee? Are my tests covered by my insurance? We do not bill insurance directly, however, you can submit for reimbursement yourself. If all your insurance company needs is the "CPT Codes", then we can supply you with those codes. Simply fill out this contact form and include your order number and the tests you would like the CPT codes for. Note: If you decide to file with your insurance company and they pay a portion of the billed amount, they may charge you the remainder at a higher price that they determine. TrueHelathLabs.com does not control this process and can not compensate for it. This said, we highly discourage filing with your insurance company. Note: Some insurance companies require diagnostic codes in which we cannot give. Diagnostic codes can only be given by a physician that can physically diagnose your health conditions. 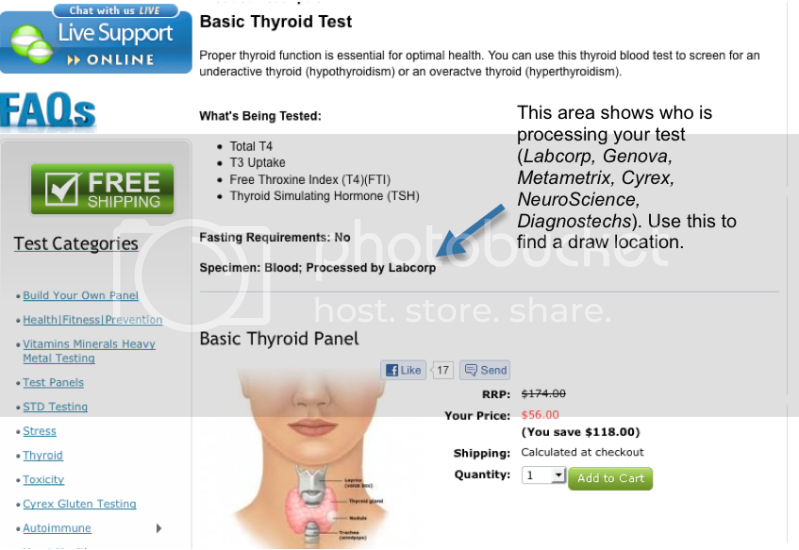 TrueHealthLabs.com does not engage in diagnosing and does not form a doctor-patient relationship. You may cancel prior to the specimen collection with a refund equal to the price of the total order less 10% cancellation fee if canceled within four (4) months from the date of the order. There are no cancellation refunds after four (4) months unless other arrangements are made before the four (4) month cut-off date.